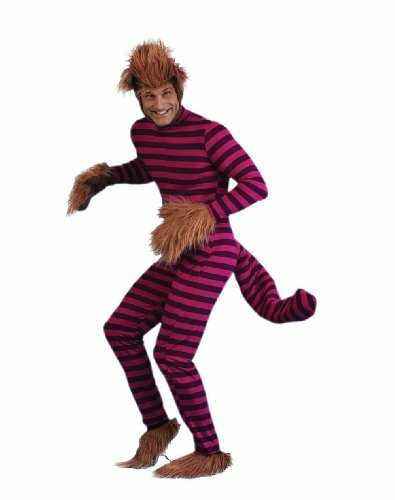 Put a big grin on her face with a Cheshire Cat Costume for toddler girls. 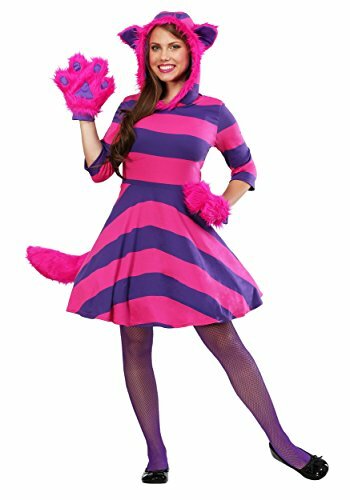 The eye-popping Cheshire Cat dress features purple and magenta stripes, sheer puff sleeves, an attached tail, and faux fur trim along the skirt. The cat ears headband and fingerless gloves also features fuzzy faux fur. Slip on the striped footless tights and heart choker necklace for a look that’s straight out of Wonderland. Shoes not included.